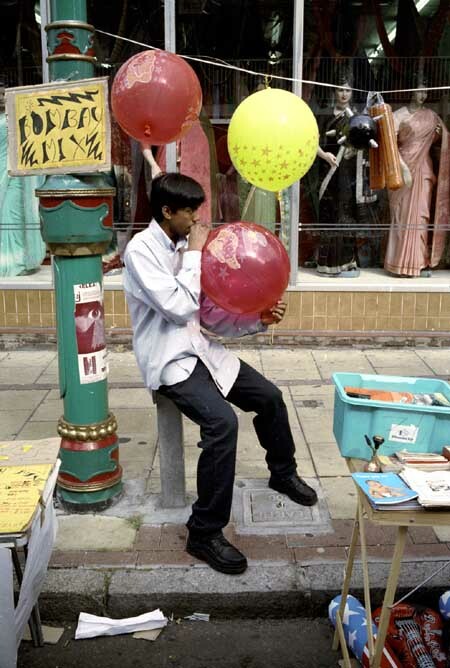 I’m still not sure where my walk around London’s East End at the Museum of London on Thursday 6 March will take me, but it will I think be a personal journey that reflects on my photographic involvement with the area over the years. The event, from 6-9 pm, is a part of the Mayor’s ‘east’ festival, is free and everyone is welcome. One place I may start. demolished in the early 1970s, shortly after this picture was taken. 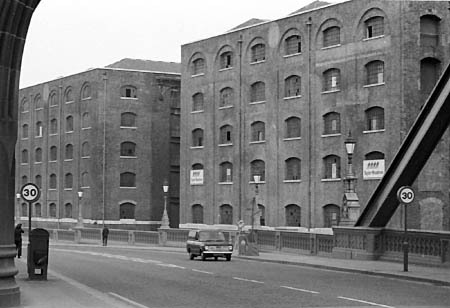 Walking across Tower Bridge and seeing the warehouses of St Katherine’s Dock, about to be demolished was where I started to photograph East London. Brick Lane is sure to feature. Then perhaps there are some of my pictures from a sometimes surreal docklands after the closure, the colour series of shop fronts and street detail which reflect the changing populations of the area, the black and white records of much of its urban landscape. The River Lea and around, from long before its Olympic disruption to the present, Canning Town (I’ve written a walk) , the DLR, demonstrations, religious festivals and more. 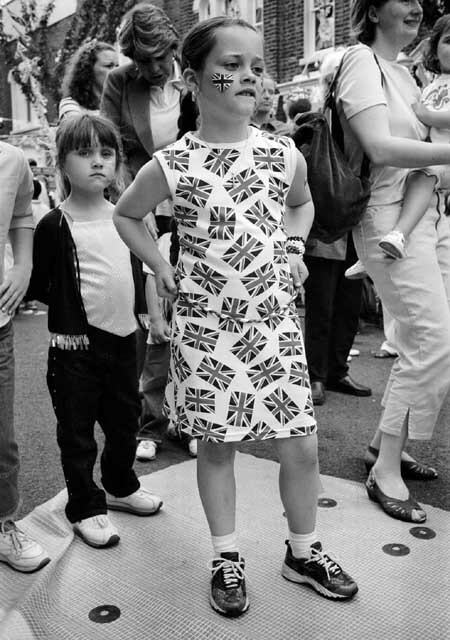 I’m not sure how much I can squeeze in to a half-hour or so during the evening, but one event I’m sure I won’t leave out is a real East End street party for the Queen’s Jubilee. This entry was posted on Thursday, February 28th, 2008 at 10:37 am and is filed under My Own Work. You can follow any responses to this entry through the RSS 2.0 feed. You can leave a response, or trackback from your own site. Enjoyed your talk and pictures at the Museum of London. Pity that the technology wasn’t up to scratch (not your fault! ), and there wasn’t time for questions. 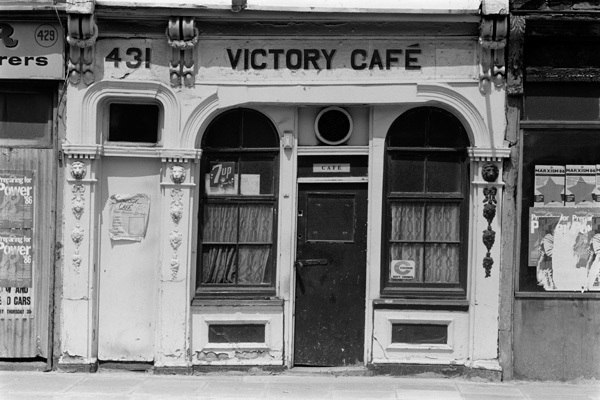 I seem to remember cycling past the Victory Cafe every day on my way from Chingford to Holborn during the eighties. Am now revisiting the area after an absence of many years, and doing my own photographic project on the Olympic barriers for my Central St Martin’s course. Managed to find an ‘unofficial’ way into the site last week avoiding security guards, though the resulting viewpoints were not very rewarding. Would be interesting to compare notes some day. I think Cathy just got a little side-tracked by all the problems and forgot to ask for questions, though I did talk to quite a few people after the show and in the bar. I’m sure you did cycle past the Victory Cafe and also one or two other places I photographed. The cafe was still in business when I first photographed it, but later was derelict for some years (it wasn’t too easy to tell the difference) and I think was fairly recently demolished. Since the closure I’ve only photographed from the Greenway – and a couple of pictures from the train. And a little around the edges. Its a fairly minor part of my practice.